Congratulations go out this week to Lexi Thompson for winning the Indy Women In Tech Championship. Lexi and Lydia Ko entered the final round tied for the lead, but Lexi took control early and never looked back. She shot a final round 4 under par 68, which was good enough for an easy 4 shot victory. For the 22 year old Thompson, it was her second win of the season, and 9th of her career. For Ko, it was just her 2nd top five finish of the year. She is still searching for that allusive first victory of the season. 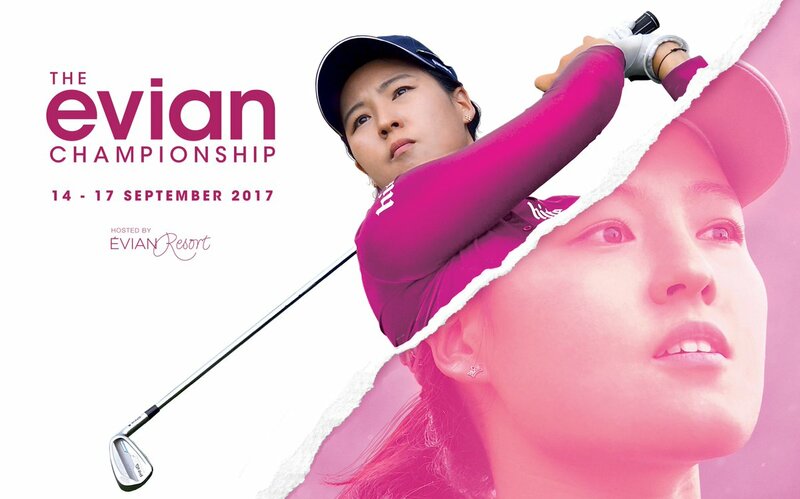 This week the LPGA travels to France for the playing of the Evian Championship. In Gee Chun will be trying to defend the title she won last year when she cruised to a four shot victory over So Yeon Ryu and Sung Hyun Park. The first four major championships of the 2017 season have been won by four different players. Will we get our first repeat major championship winner of 2017? This will be tournament #26 of 34 on the 2017 LPGA schedule. It is also the fifth and final major of the year. My strength of field rating is 79.5 ( down from 85% last year) making it the weakest field of the 5 major championships this year. It is also only the 8th strongest field of the year. Part of the reason for this is the fact that this is a limited field (just 120 players), and doesn't have the firepower from players from other tours (Hye Jin Choi, and Georgia Hall are the exceptions) that the other majors have. Also hurting my rating is the fact that Stacy Lewis, Michelle Wie, Inbee Park, and Lizette Salas are not teeing it up. That said, this tournament will still have lots of drama. So Yeon Ryu will be trying to hang onto the #1 position, knowing Lexi Thompson and Sung Hyun Park could take her place there with a victory. There will still be lots of firepower here as 47 of the top 50 players from the LPGA Priority List, and thirty-eight of the top 50 players from the Rolex Rankings will be teeing it up. 1- So Yeon Ryu - Still #1. 2- Lexi Thompson - A win here will put her on top. 3- Sung Hyun Park - Plays big in big events. In Gee Chun - 5 runner-up finishes this year makes her overdue. Shanshan Feng - Has finished 4th, 3rd, 10th, 11th, and 4th, the last 5 years. Cristie Kerr - Because she is still very hungry for those Hall of Fame points. Anna Nordqvist - If she is healthy she will play well here. Caroline Masson - She has been playing very well the last month. Emily Pedersen - Because she is not playing well and no one else will be picking her. Olafia Kristinsdottir's 4th place finish this week was the best finish of her young career. It moved her from #106 to #67 on this year's money list, and guarantees her full time playing privileges in 2018. Not much movement from LPGA players this week. Lexi Thompson moves past Sung Hyun Park into the #2 position. Both Lexi and Park could reach that #1 spot next week with a win at the Evian Championship. Lizette Salas jumps 4 spots to #44, while way down in the rankings Olafia Kristinsdottir makes a huge jump from #300 to #197. Lexi Thompson takes a big lead this week with 3,192 points. She is followed by So Yeon Ryu with 2,652 and Sung Hyun Park with2,563. Lexi Thompson now has 7 top two finishes, and 8 top fives. Both figures lead the LPGA tour. Brooke Henderson's 5th place finish was her 17th top twenty-five finish of the year. Only Moriya Jutanugarn (19) has more. Ssu-Chia Cheng and Julie Yang have both missed 15 consecutive cuts. The Last American player to win the Evian Championship was in 2007. Can you name that player? Update: The first round has been canceled due to rain. All scores have been wiped out. This will now be a 54 hole event starting Friday.